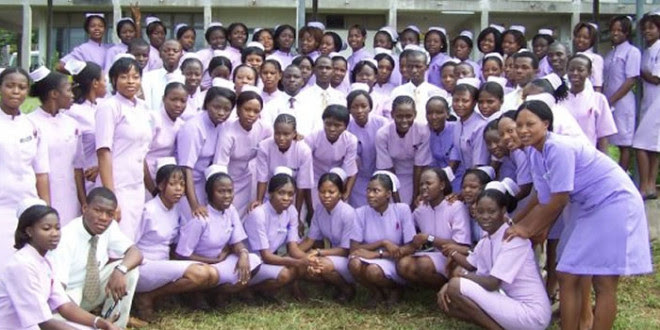 FCT School of Nursing Gwagwalada Abuja Admission Form 2019-2020 and How to Apply. The FCT School of Nursing Gwagwalada Abuja is now accepting applications from suitably qualified candidates for admission into its Basic Nursing Programme for the 2019-2020 academic session. Eligible candidates should possess WAEC, GCE, or NECO with at least FIVE CREDIT passes including English Language, Mathematics, Physics, Chemistry and Biology at not more than two sittings. The result(s) presented should not be more than 10 years since the examination was written. NABTEB certificate is not acceptable. Candidate must be up to 17 years of age. IMPORTANT! Currently, ABSUTH School of Nursing Admission Form 2019 is not yet out online, DISREGARD any form of advert you come across. This page will be updated immediately the form is out. Candidates wishing to obtain the forms should show evidence of payment of Non refundable fee of N5, 000.00 (Five Thousand Haire) only from First City Monument Bank (FCMB). Candidates are to pay Into HHSS Revenue account No.3402015028. Completed forms are to be returned to the Principal, FCT School of Nursing Gwagwalada on or before 2nd June, 2017. If you need us to help you with more updated information at the right time about FCT School of Nursing Gwagwalada Abuja Admission Form 2019, kindly provide us your phone number and email Address in the comment box below. Also feel free to ask any question pertaining to this guide. Please is the form out, and where can purchase it? Please notify me as soon as the form comes out for sale. When will the sale of form close? Please how can I get the form?is it still ongoing?.. Pls I will like to know when the form is on sale. Gud day,please am Uchenna Philip by name want to know when the nursing form will out this is my number 08020795865. Thanks for the information,please i would appreciate it if am been informed when the registration commence. Please notify me as soon as the sale of the form commences 08029507919. When will the sales of form start? Pls do contact me when d form is out thanks. 08036069001 this is my number. Please i need to know when the admission form wil be out. i’m interested! Pls when is the form coming out. Do we have to write exams for 2018/2019 session??? I need procedure on how to carry out the admission. please forward to me when the form will be out to my mail or phone address. Am an arts student before now wanting to become a nurse at fact nursing school gwagwalada what do I do? How many years will it take me to become a nurse?